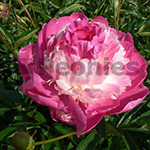 Jubilee is a strong Peony with dark foliage and double flowers. The buds come with a little green and the flowers change in a couple of days to pure white. The fragrant flowers bloom in the early midseason. Jubilee is a rare variety. With the many side buds Jubilee is beautiful in the garden. 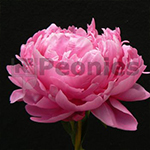 To buy Peonies contact one of us for information. Jan van Leeuwen is a single cut flower with nice fragrant flowers. 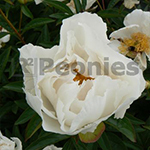 Jan van Leeuwen is a white variety with the most pure white with green buds of all peonies. Jan van Leeuwen has flowers up to 15 cm and the dark foliage makes it an eye catcher in your garden. The foliage stays dark green until October. Every year older the plant gives more flowers. Excellent use for cut flower production as well for planting in gardens and city parks all over the world. 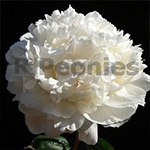 Ivory Victory is an extreme beautiful of the purest white, double Peony and is an absolute winner. 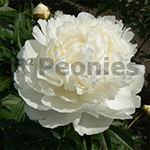 With the lovely fragrance is the Ivory Victory one of the most reliable Peonies. 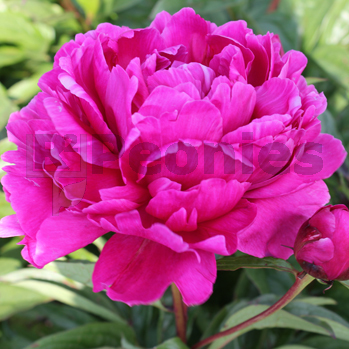 With flowers up to 17 cm and the dark foliage it’s an eye catcher in your garden. Every year older the plant gives more flowers. Ivory Victory is a seedling of Bowl of Cream. 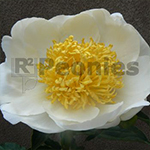 Henry Sass is a beautiful white Peony with large flowers and large petals. 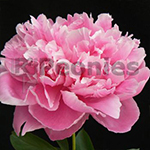 With the light fragrance and the strong stems is the Henry Sass one of the better cut flower Peonies. With flowers up to 15 cm and the dark foliage it’s an eye catcher in your garden. Every year older the plant gives more flowers. Excellent use for cut flower raise as well for planting in gardens and city parks. 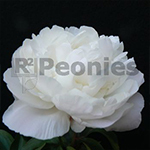 Glory Hallelujah is a rare and very late Peony. It’s blooming in the same period as Elsa Sass and Ann Cousins. 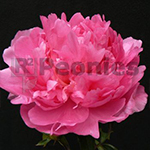 This extreme beautiful, of the purest Pink double Peonies is an absolute winner. With flowers up to 17 cm and the dark foliage, Glory Hallelujah is used a lot for cut flower crops as well for land­scaping in gardens and city parks. Every year older the plant gives more and more flowers.